The jury has been out for some time on whether using socially and environmentally responsible investing adds to or reduces investor returns. Papers over the past decade have shown evidence in both directions. Many investors would like to use ESG and SRI strategies, but if there is a chance of reduced returns it makes it a hard pill to swallow. New research from the Journal of Applied Corporate Finance Tim Verheyden, Robert G. Eccles, and Andreas Feiner argues rather persuasively that avoiding companies that have very poor ESG scores does indeed add value. 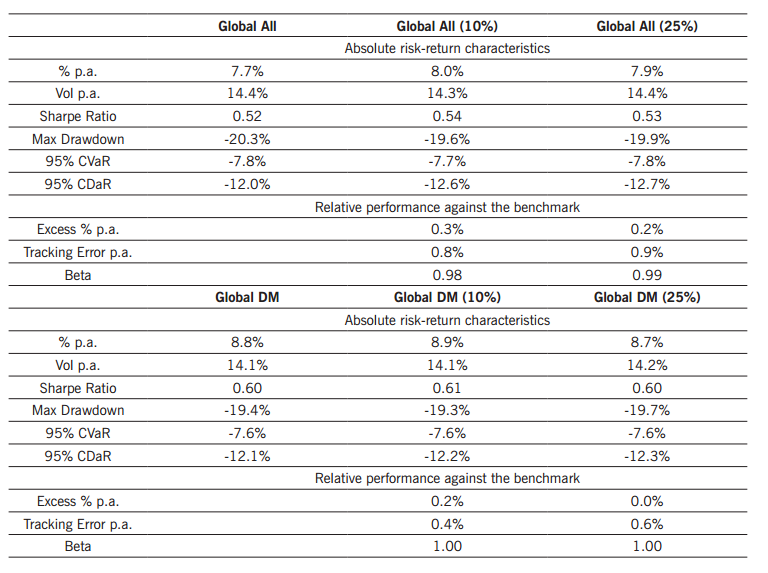 The column in the middle shows the performance of a global portfolio that avoids the bottom 10% of stocks based on ESG scores. As you can see returns are slightly higher and the volatility is ever so slightly lower. What the data makes clear is that from a purely theoretical perspective, yes, ESG screening and investing can add to returns over time. What the authors fail to address is how the average investor can effectively act on this information, since most of us can’t go out and buy a global portfolio of 1,644 stocks (the size of Global All (10%) above) without going bankrupt on transaction costs alone. The ESG fund universe suffers from an affordability problem. Due to the greater cost to assemble ESG portfolios, driven by data costs and maybe a bit of good old fashion profiteering, ESG funds are much more expensive than their non-ESG peers. Below is a list showing the costs of ETFs deemed to be socially conscious according to the Charles Schwab fund screener. With an average fee of .54% annually, these funds are markedly more expensive than other index or pseudo-index funds offered by providers today. 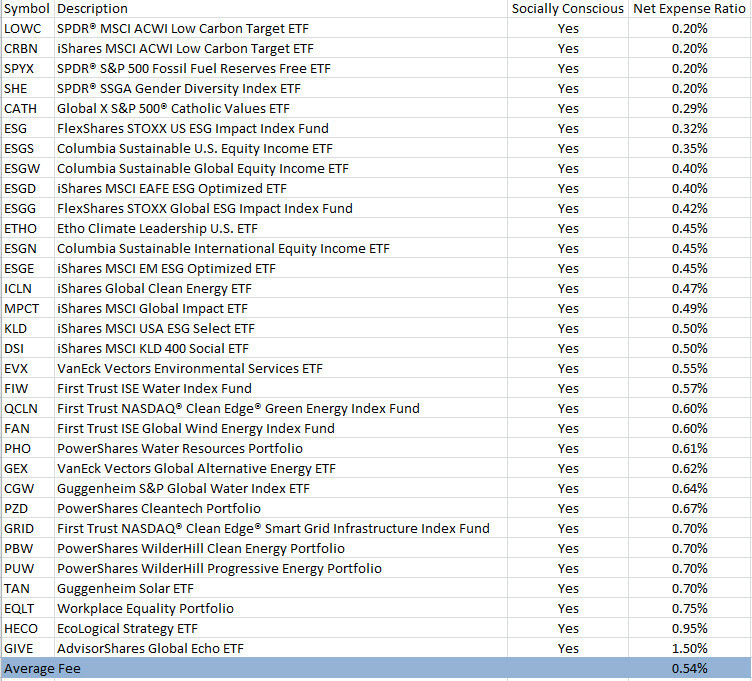 Most traditional index ETFs can be bought for under .1% annually, and given the gap in performance seen above (ESG outperforming by .3% annually), it doesn’t appear that investors can have their cake (ESG investing) and eat it too (Maximize performance). Now, I expect this to change over time as demand for ESG strategies increases. A recent Factset survey of 1,000 high net worth investors found that access to ESG strategies was one of their main concerns. As interest in ESG grows there will be downward pressure on investment fees, just as index fund costs have declined as demand has increased, also forcing down the average fee of actively managed funds. But, much like active funds, there is going to be a floor on how low fees for ESG funds can go. 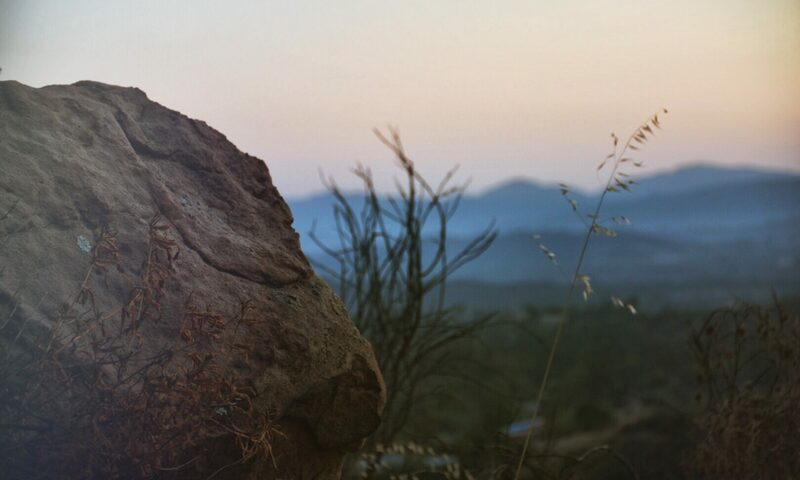 Conducting the research on the environmental, social and governance merits of thousands of companies costs money, no way around it; and conducting quality research is vital to ensure the integrity of any ESG ratings system. My question is whether we will see enough downward price pressure over the next few years to make the fee adjusted performance of ESG funds comparable to the traditional index peers, or if we will see a shift in investment priorities such that investors will accept the potential of slightly lower returns in exchange for investing in more responsible companies?